When I was at the Oxford Flower Shop uptown, I noticed a jewel-green plant with fleshy leaves and bright bunches of yellow flowers. It turned out to be a Kalanchoe, specifically Kalanchoe blossfeldiana (the genus Kalanchoe has a very wide variety of stunning plants, but I believe Oxford Flower Shop sells only K. blossfeldiana). I got my hands on my very own plant as soon as I could. This sweet plant blooms on its own every spring, and its flowers last for a long time. After its flowers wilt, simply use a sharp pair of scissors to cut off the blooming stem as close to its base as you can, making your cut close to the first pair of leaves that appears as you move down the stem from the flowers. The Kalanhoe hails from Madagascar, where it grows naturally in cool and arid regions. For home care, this means that the Kalanhoe needs to be watered more sparsely than not—in winter, allow it to dry out in between waterings. In spring, summer and fall, water it just a little bit more often. Fertilize about once a month, but take a break for all of winter. This slow-growing beauty will end up being between a foot and a foot and a half big, and likes to be put out in bright places. 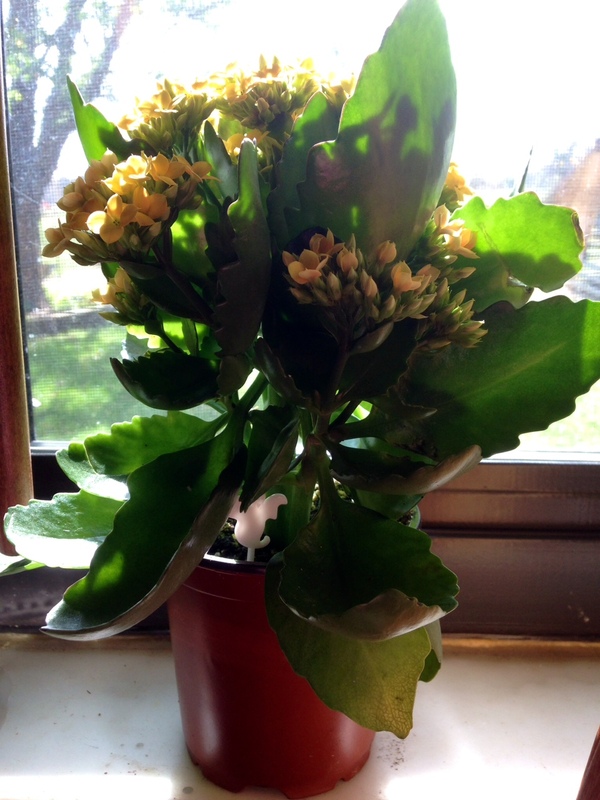 The Kalanchoe blooms can be a variety of colors: white, pink, red, orange, apricot, or yellow. If you decide to get one in Oxford, the Oxford Flower Shop charges $9.75 for a 6” plant, already in full bloom. Do note that the Kalanchoe leaves are toxic and so you (and your pets) shouldn’t nibble on them, although there are medicines which do contain specific compounds extracted from the Kalanchoe! The Kalanchoe blossfeldiana is a lovely plant to add to your home, and even without its blooms its jade, glossy leaves add an exotic flair to any room. Consider getting one for you, or a plant-loving friend!